£100 non-refundable deposit is required to secure your holiday. The balance plus £75 bond is payable no later than 4 weeks before your holiday. The £75 bond is refunded after your holiday provided the caravan is left clean and tidy and there is no damage or breakages. 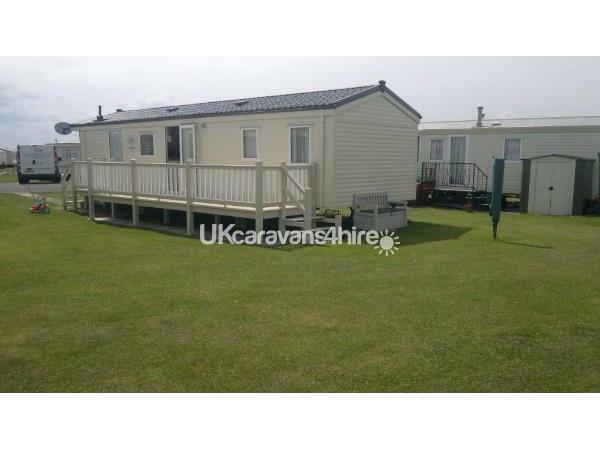 Our luxury 3 bedroom, 6 berth caravan is fully equipped for your holiday at Coastfield Holiday Village. 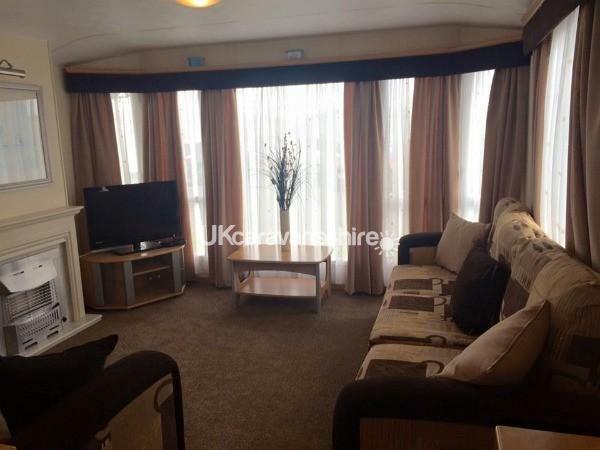 The caravan is double glazed and central heated throughout for all year round comfort. The main living areas (lounge, dining area, kitchen, hallway and bathrooms) have just been updated with new upholstery, carpets/flooring and curtains. The living room has a gas fire as well as central heating, a 32" flat screen TV with freeview, DVD player, and Playstation 2 with games. A selection of children's board games and colouring materials are also provided for your comfort. The dining area which has a 'normal' table and chairs is adjacent to the kitchen area. 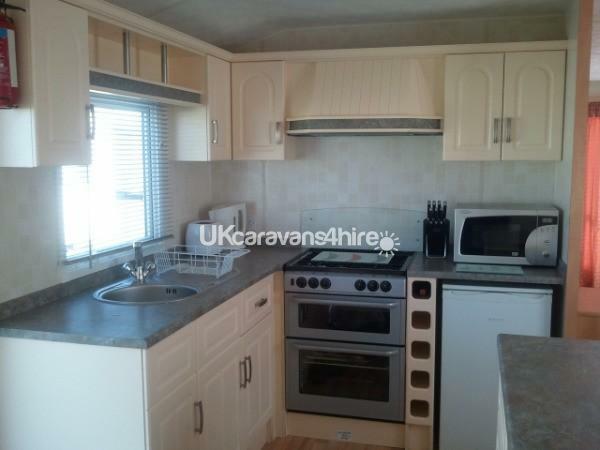 The kitchen is fully equipped with an under counter fridge, microwave, kettle, toaster, pot, pans, crockery and cutlery. 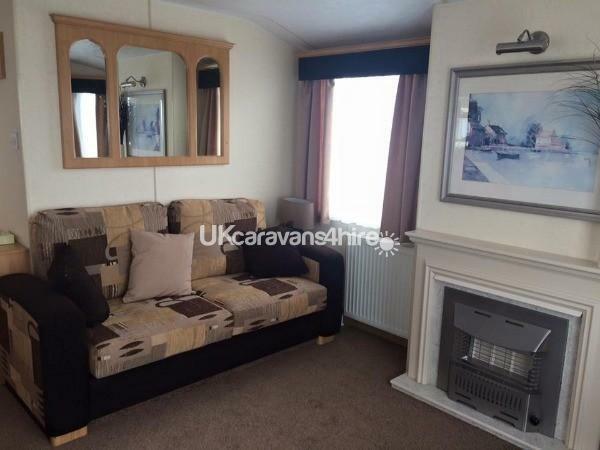 The caravan sleeps 6 - The double bedroom has fitted wardrobes and dressing table. 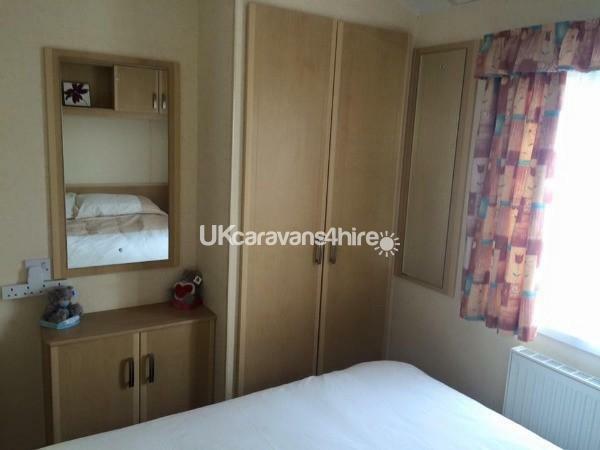 The two twin bedrooms both have fitted wardrobes. The main bathroom has a double size shower cubicle, toilet and hand basin. There is an additional cloakroom size toilet with a handbaisin, allowing you to shower in peace without cries of 'I need the bathroom' from the other side of the door!! 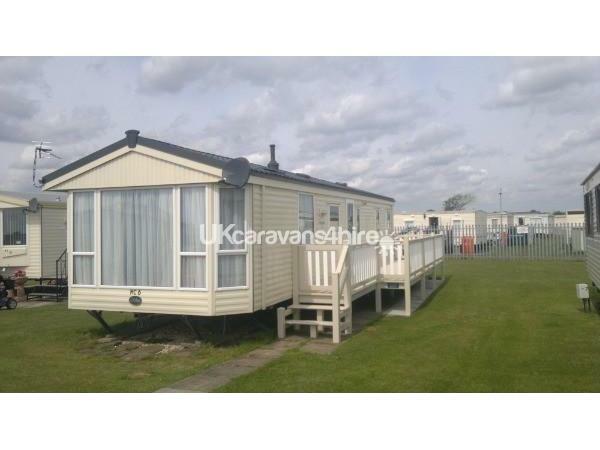 The caravan is situated to the rear of the site on a sought after plot. It has a large verandah with table and chairs. 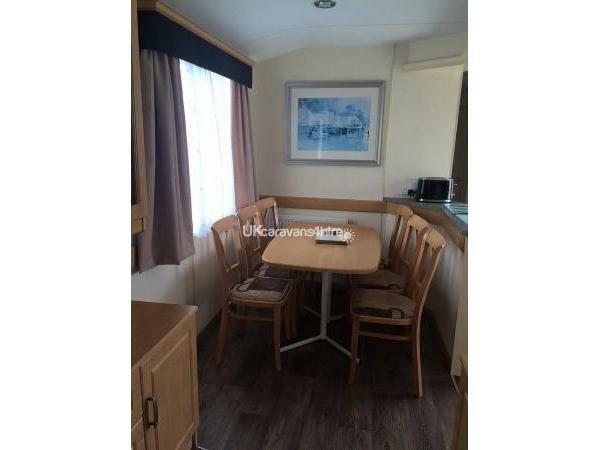 There is plenty of space at the rear of the caravan, where you will find the picnic bench and rotary airer, and still lots of room for the children to play whilst you relax. There is also a storage bench which contains buckets, spades and other outdoor toys. 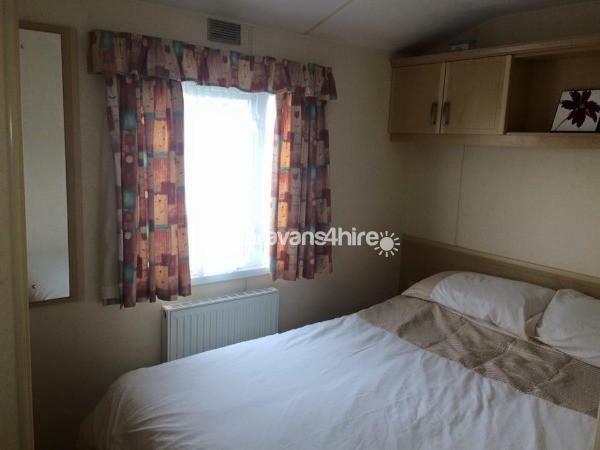 The caravan is also equipped with an iron and ironing board, vacuum cleaner and other home comforts. Duvets and pillows are provided, but you will need to supply your own bedlinen and towels. Additional Info: Starbucks coffee lounge, Children's Play Area, Land Train.